At IICT, everything we do and believe in is about challenging the status quo. We believe in thinking differently about membership and truly serving our members based on what they need over what we assume their needs might be. Unlike many associations who dictate what therapists must do, we innovate and create services and provide resources based on what our members actually need. We reverse engineer membership starting with 'why' rather than focusing on 'what' we do. Because we operate outside the structure of associations, we are truly responsive to industry needs and use that flexibility to deliver outstanding products to our members. We're about community and collaboration as a starting point and that makes us unique from the outset. IICT is the best fit for therapists who offer many modalities without the need of joining associations for each modality practiced. IICT is also the largest modality list in all the world (1,300+ and counting), you can be sure that if you practice it, we cover it. “To recognise, inspire and unite every therapist throughout the world"
natural therapy practice to thrive through expert business solutions"
professional body for every natural therapist"
The following are our teams core principles that hold us all accountable in the IICT business. be integral and demand it from others. If you need to say something, say it to the person concerned. Be radically transparent, share your thoughts and ideas. Be honest in all that you do. Work within the idea meritocracy, the collective best ideas are actioned. Be loyal to the common mission and goals of the company. Never lose sight of your reason for working in the company. values of the company and hold yourself accountable. of the customers, team and business in mind. fail well and learn fast so the failure never occurs again. Think continuously, how can I optimise, automate or systemise this process. Keep an open mind, and bring positivity to all your communications. Collaborate to bring out the best in each other and to get the job done well. Choose your attitude in each moment and with each new interaction. Be present and have fun with our customers. Every day is day one, be humble and have a beginner's mind. Lawrence Ellyard is the CEO and Founder of the IICT with over 25 years experience in the natural health industry. Lawrence has been instrumental in developing the IICT's operations both within the Australia and Internationally. He was formally the Director of The International Institute for Reiki Training and has several years of training and practice as a Transpersonal Therapist. In 2009 Lawrence was awarded a Masters of Transpersonal Studies (IKON Institute). Since the early 1990's, Lawrence has been an active member and facilitator of several educational organisations and spiritual traditions and has supported their growth with many innovations in natural therapies since this time. He has travelled extensively throughout the world both lecturing and training and draws on his extensive background in natural therapies in the running and future direction of the IICT. Andrew aims to ensure every IICT member’s experience is smooth and exceeds expectations and he is keen to hear any ideas to make IICT even better. 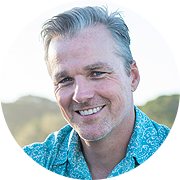 Andrew has only lived in the Byron Bay area for a short time having moved up from Sydney. He has over 30 years experience in education and business development. He started life as a primary teacher on Sydney’s North Shore and progressed to school leadership positions, including Assistant Principal and for a short time, Principal. In 2005 Andrew took a chance and joined an education start-up which, at the time, was developing an idea for an online maths resource which later became Mathletics. The next 10 years was quite a journey. A journey which ended with Mathletics being used by over half the schools in Australia and 3 million students around the world. Andrew led the Australian sales, marketing and customer experience teams and was responsible for expansion into Asia. He and his wife Sarah have three children and they are all very much loving life away from the hustle and bustle of Sydney. Louise was born in South Africa where she studied a BSc. in Human Biosciences at the University of Cape Town. She spent most of her free time in nature, enjoying a daily ritual of walking in the forest. After graduating, she desired to deepen her understanding of holistic health and went on to pursue training in Clinical Aromatherapy, Ayurveda and Yoga. She looks forward to gaining her professional accreditation as a Psychotherapist in the future. Louise?s work experience includes working for a Psychology practice, an Ayurvedic company and a natural beauty business where her roles included assisting with psychology workshops, acting as marketing manager and overseeing new product development. She enjoys contributing to the growth of a team and being involved with the creative process of bringing new ideas to life! Ilyia has an extensive background in business with former roles as a General Manager for a fashion label and Operations Manager for a travel company. With a passion for understanding what stops people from adapting to different, psychological, emotional, physical and nutritional challenges in life, she dived into studying alternative therapies. 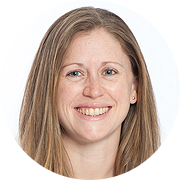 She is now a qualified Kinesiologist, Neuro-Trainer and PYSCH-K facilitator and continues to add to her pool of resources through research and continued professional learning. Ilyia is excited to be working in a community of complementary therapists and training providers. Vicki has an extensive background in the complementary health field. Her studies include Chinese medicine, Ayurveda, kinesiology, pranic healing and massage and beauty therapy. Vicki’s experience ranges from running her own practice, to working in world-class health retreats. Originally from WA, she has spent the last six years in the beautiful Byron shire. Vicki is passionate about the health and wellbeing industry and is delighted to be able to assist other complementary health care practitioners in her role as IICT’s receptionist and Customer care manager. Sarah was born in England and enjoyed a happy childhood in the English countryside. After graduating from the University of Wales with a Bachelor of Science in Marine Biology, she went on to spend the next few years working in corporate London, primarily in Human Resources. After finally giving in to the urge to travel, she and her then-fiancé (now husband) packed up their things and headed off to spend the next year living, working and travelling around the world, one of the highlights being scuba diving with manta rays in Thailand. One of the other places she visited along the way was Byron Bay, Australia, where she fell in love with the pace of life and the local wildlife – not to mention the friendly locals! When she returned to London she completed a Post Graduate Certificate of Education and enjoyed working as a Primary School Teacher until she emigrated to Australia in 2009 and became a mum. 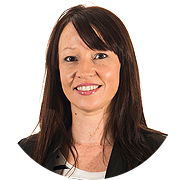 She has now returned to work after a 2 year break and is now supporting the staff and members of the IICT and continuing to broaden her horizons. Grace has an extensive background in the complementary health field. She is a qualified Naturopath with a Bachelor of Health Science & Complementary Medicine and has practised as an integrative naturopath for the last 12 years at a number of Australia's leading health retreats & integrative medical centre's. 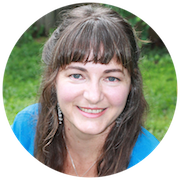 Grace runs her own private practice, as well as health programs and retreats. 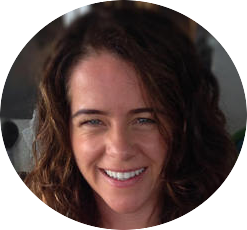 She has recently joined the IICT team & is excited to support more practitioners to join the complementary therapies industry. Julia is passionate about natural health, nature and spending time with family and friends. Having studied science and natural health for the past 6 years she recently completed a Bachelor of Complementary Medicine. Before joining IICT Julia worked for an organic food distribution company and an Australian essential oil brand. Julia is thrilled to be working in a positive environment with like-minded people. In the near future she hopes to study kinesiology and has a deepening interest in various modalities of energy healing. Sarah Frare is an award-winning strategic marketing specialist with over 20 years business experience from senior product marketing roles and PR. 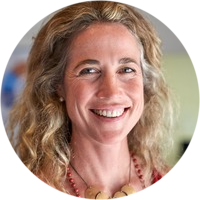 Prior to relocating to Byron Bay in 2006, Sarah worked for leading international entertainment companies and was responsible for driving product marketing programs across multi-million dollar portfolios of leading consumer brands. Sarah brings extensive online marketing experience to the business and champions IICT's social media communication. Jesus Cordero was born in Maracaibo - Venezuela. He graduated as Graphic Designer and Art Director in 2001. His designer career (spanning more than 15 years) has provided Jesus with the opportunity of working with several high profile companies and clients around the world. He join the IICT in 2015 and has been instrumental in designing several projects for IICT, including brand identity; marketing campaigns and social media campaigns. With 'Jesus on our side’ IICT continues to expand its visual and media experience for IICT members throughout the world. 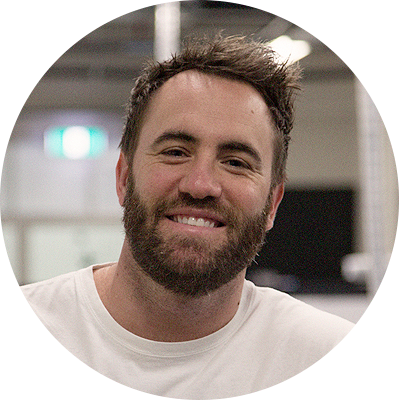 Trav was born in Brisbane and lives and breathes Marketing. Trav has worked with brands like Red Bull, Heineken, Nike, Westfield & 99 Bikes just to name a few. Working closely with IICT, Trav is responsible for not only helping the team get the message out about the good work IICT does but also improve the experience for you... the customers. Trav is data driven and passionate about making things look amazing and function effectively! 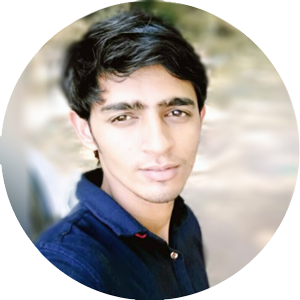 Parbat was born in India and his burning passion is web development. He has an awesome grip on web development and front end design. 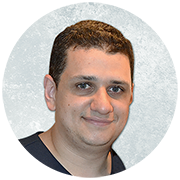 Parbat had undergone extensive studies in computer science and is an outstanding programmer who is at the cutting edge; constantly learning and mastering complex coding wizardry. After completing his studies, he joined an IT company as a senior web developer. Constrained in his role, and lacking creative freedom, he sought to further his passion. Parbat took the huge leap of faith and started his own IT business with many struggles and many more ups and downs. True to his path and following his passion, since then he hasn’t looked back and has been working diligently with IICT for over 3 years. Coco has recently joined the team in the office as Chief Pats Officer. His primary roles include laying around the office and seeking out pats from team members throughout the day. 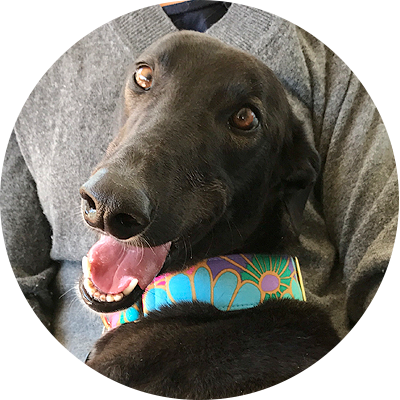 Coco is a rescue greyhound who wasn’t a successful race dog and now lives in Byron Bay, enjoying a lifestyle based on doggie treats and walks on the beach. The IICT is committed to providing members with the highest levels of service, including the protection of members' privacy . Personal information held by the IICT may include your name, date of birth, current and previous addresses, telephone/mobile phone numbers, e-mail address, educational qualifications, professional indemnity insurance policy details, and credit card details. If you choose not to provide such personal information (if required ), the IICT may not be able to provide you with the services you require, or the level of service on which we pride ourselves. Other information which IICT will collect and hold as a direct consequence of membership includes but is not limited to your IICT membership number, join date, accredited modalities, certificates issued, and continuing education records. from publicly available sources of information. maintain and develop our business systems and infrastructure , including testing and upgrading of these systems. Your personal information is also collected to promote and market other services which we consider may be of interest to you related to the natural therapy industry, however the IICT shall not utilise your personal information to promote directly or indirectly network marketing businesses or businesses which are considered 'Spam' or alike. The IICT will never disclose your email or personal address details to other parties and you will always have the option to unsubscribe from emails which we may send you from time to time. If you intend to receive membership renewal certificates from us via email we will require you to 'opt in' for email campaigns with a valid email address to ensure we can deliver your renewal certificate and provide you with important updates relating to your professional affiliation with the IICT. If you do not wish us to contact you regarding other services please email IICT to be removed from our bulk email list. keep the IICT up to date with changes to personal information such as your name and address or clinic name and address, as well as your current email address, telephone and mobile number. 1. To ensure all IICT Members will adhere to, and comply with all sections of the IICT Constitution and Code of Ethics. 2. To raise the overall public awareness of Complementary Therapies and Practices, as well as related healing arts and health sciences. 3. To ensure Complementary Therapists function at the highest professional standard. 4. To foster and encourage a ‘bridging’ between conventional allopathic medical, and allied professions. 5. To maintain overall professional standards via membership to a recognised International and Australian Institute for Complementary Therapists. 6. To provide a national voice for Complementary Therapists and Health Professions. 7. To encourage the sharing of knowledge and good will among IICT members. 8. To promote the needs of Complementary Therapists and identify future directions for the Natural Health Industry. 9. To create community and fellowship among the diverse Complementary Health Field. 10. To provide affiliation and greater credibility for Complementary Therapists via Professional Affiliation with the IICT. 11. To promote consumer confidence in the Natural Health Industry and allied health professionals. This Constitution was Certified and Adopted on August 5th 2002. 1. To ensure all Members will adhere to, and comply with all sections of this Constitution and the IICT Code of Ethics. 2. To raise the overall public awareness of Complementary Therapies and Practices. As well as related healing arts and health sciences. 3. To foster and encourage a ‘bridging’ between conventional allopathic medical, and allied professions. 4. To maintain overall professional standards via membership to a recognised International Institute for Complementary Therapists. 5. To encourage the sharing of knowledge and goodwill among IICT members. 6. To create community and fellowship among the diverse Complementary Health Field. 7. To provide affiliation and greater credibility for Complementary Therapists via professional affiliation with the IICT. All applicants must provide Certification in at least one of the IICT's approved modalities, along with the submission of the IICT Application and Payment of fees. *In the case where the membership type excludes proof of qualifications, the applicant is required to submit all necessary information in order to be granted the approved membership status that is being applied for. All applicants must complete and submit the IICT application, along with attached certificate/s* in order to become a member of the International Institute for Complementary Therapists (IICT). 1. Via our online application form with supporting documentation of Certification*. 1. Membership fees are to be paid in full, 365 days from joining the IICT. All IICT memberships are on recurring billing and as such, all members are invoiced 14 days prior to expiry to advise the nominated card will be debited. 2. In the case where membership has lapsed and a practitioner wishes to renew their membership, regardless of the time lapsed the practitioner will be required to pay the full annual membership fee. 3. All members are entitled to opt out of renewing their IICT membership by contacting the IICT and advising this request in writing (email or via post). Any member wishing to resign may do so at any time by informing the IICT Director via the following means: Email, Fax or in Writing. In the case where a new or existing IICT member wishes to resign, the IICT can offer a full refund on membership fees paid (minus postage and admin costs) within 30 days of joining or renewing membership. After this 30 day cooling off period the IICT will not offer a part or whole refund on the remaining membership period, see our refund policy for details. In the event an IICT Member wishes to re-instate the IICT Membership which has lapsed, this decision for renewing IICT Membership is solely at the discretion of the Director of the IICT. The Director of the IICT reserves the right to dismiss any IICT Member who has comported themselves in such a manner which may be seen to bring the IICT, its fellow members; its management and directors into disrepute. The Director reserves the right to amend the IICT Constitution as, and when, it is deemed necessary. Should such be the case all IICT members will be informed of these changes. The International Institute for Complementary Therapists mission is to provide membership for all recognised Complementary Therapists creating a recognised and unified standard of practice amongst all complementary healing arts and health service practitioners. 1.1 This Code has been compiled by the Director of the International Institute for Complementary Therapists (IICT) and relates to the standards of practice for all Practitioners holding Membership in the IICT. 1.2. This Code of Ethics is the professional base standard expected of all Practitioners so as to preserve and enhance the reputation of the IICT and the public at large. 1.3 This Code applies to all Practitioners who are or who become Members of the IICT. 1.4 The IICT Director reserves the right to amend the Code of Ethics as, and when, it is deemed necessary. Should such be the case all IICT members will be informed of these changes. 2.1 Client, student and public welfare shall take priority over self interest of members, employers and colleagues. 2.2 Confidentiality of client information must be observed at all times. In the case where client information is shared this must first precede consent from the client or legal guardian. Legal and contractual limits must be made clear to clients where appropriate. 2.3 All IICT members shall not behave in any manner that may bring the IICT or the members profession into disrepute. 2.4 All IICT members will, at all times, maintain ethical standards and show politeness and consideration to their clients and conduct themselves professionally so as to comply with the generally accepted standards of moral behaviour and decency. 2.5 Should any IICT Member be found to have transgressed any of the said Codes of Ethics, their IICT membership shall be revoked and their Membership Certificate shall be returned to the IICT. 3.1 All IICT members shall conduct their professional practice with reasonable skill and learning. In no way shall any IICT member misrepresent their level of training, expertise, experience, or qualification. 3.2 All IICT members shall not attempt to offer work or advice beyond their level of competence or training. 4.1 All IICT members must be personally responsible for professional decisions and must give due consideration to the foreseeable consequences of their actions within their field of expertise. 4.2 When working with, or for, other persons or organisations all IICT members shall maintain the highest integrity and standards of the profession. 4.3 All IICT members shall recommend clients to seek expert medical attention or psychological help in the case where a client is in need of further assistance that falls outside the individual practitioners level of expertise; field/s of experience and/or qualifications. 5.1 Clinical, consulting and evaluative information must be kept confidential and may only be communicated for professional purposes only with the consent of the client or as may be required by law. 5.2 If client records are kept by the practitioner, these shall be stored and disposed of in a confidential manner. 5.3 When clients are unable to give informed consent, due to age, medical condition, psychological state etc., consent will be obtained by a legal guardian. 5.4 Minors (16 years and under) must be accompanied for treatment by a parent or guardian or with written permission for such treatment must be obtained by a parent or guardian. 6.1 All IICT members shall respect the client’s physical/emotional state, and shall not abuse clients through actions, words or silence, nor take advantage of the therapeutic relationship. 6.2 All IICT members shall in no way participate in sexual activity with a client. They consider the client’s comfort zone, and honour the client’s requests as much as possible within personal, professional and ethical limits. They acknowledge the inherent worth and individuality of each person and therefore do not unjustly discriminate against clients or fellow practitioners. 6.3 In the event that a IICT member and consulting client within their said profession should wish to participate in an intimate sexual relationship, any professional services must be terminated and the client be referred to another practitioner of the said profession. 6.4 Advance financial arrangements must be made that are understood by clients that safeguard the client’s interests. All fee structures, cancellation penalties (if any) and other relevant information or conditions must be clearly displayed by the practitioner of their said profession. 7.1 All IICT members shall attempt to informally resolve minor breaches in the IICT Code of Ethics by other IICT members. In the case where severe breaches are made or cannot be informally resolved, the member should inform the IICT in writing, furnishing all appropriate relevant details. 7.2 In the event that a dispute should arise between fellow IICT members, the said members shall make every attempt to resolve differences. Where differences cannot be cleared the said members may seek to find an agreed mediator to facilitate a suitable outcome for all concerned. 7.3 In no way shall an IICT member disparage, nor publicly criticize another IICT member. 7.4 All IICT members shall endeavour to obtain and maintain Public Liability Insurance within six months of becoming and IICT member. Public Liability Insurance can be obtained through our recommended broker or another provider at the descretion of the member and obtained to an appropriate level for the practitioner concerned under the provisions and protocols of the practitioners’ profession. 7.5 All IICT members shall maintain their knowledge and professional skills required under the guidelines of the members profession. 8.1 All IICT members are permitted to advertise themselves as IICT Members (as the case may be according to their level of membership) so long as their IICT membership is current. 8.2 All IICT members shall not make claims or statements which may bring their profession or the IICT into disrepute. 8.3 No IICT member shall falsely imply sponsorship or verification by any organisation which has not given their consent to do so. 8.4 All IICT members shall ensure that any advertising mentioning the IICT name shall be ethical and reserved in nature. In no way shall any member make exaggerated or misleading claims in their advertising bearing the IICT name. 8.5 IICT members shall make every attempt to inform prospective IICT members of our Code of Ethics and the provisions and costs of becoming an IICT member. In no way shall any member attempt to mislead, nor coerce another in joining the IICT. In all cases, members will direct the prospective client to the IICT website where the IICT’s Code of Ethics, guidelines for membership, and application can be obtained. 8.6 A current IICT member who holds a higher level of membership may only advertise themselves in accordance with the modalities and practices they hold qualifications in and those that have been approved by the IICT for this level of membership. In the event a member who provides services which come under the IICT's lower levels of membership, the member is not allowed to publicly advertise services in accordance with denoting a higher level of membership, but must advertise these services separately. All aspects of this web site (www.iictinsurance.eu) – design, text, graphics, applications, software, underlying source code and all other aspects – are copyright and its affiliates or content and technology providers. In accessing these web pages, you agree that any downloading of content is for personal, non-commercial reference only. No part of this web site may be reproduced or transmitted in any form or by any means, electronic mechanical, photocopying, recording or otherwise, without prior permission of the Website Owner.